When we hear about neutral colours for our interiors, it is very common to imagine a palette of grey and beige shades in your bedroom. 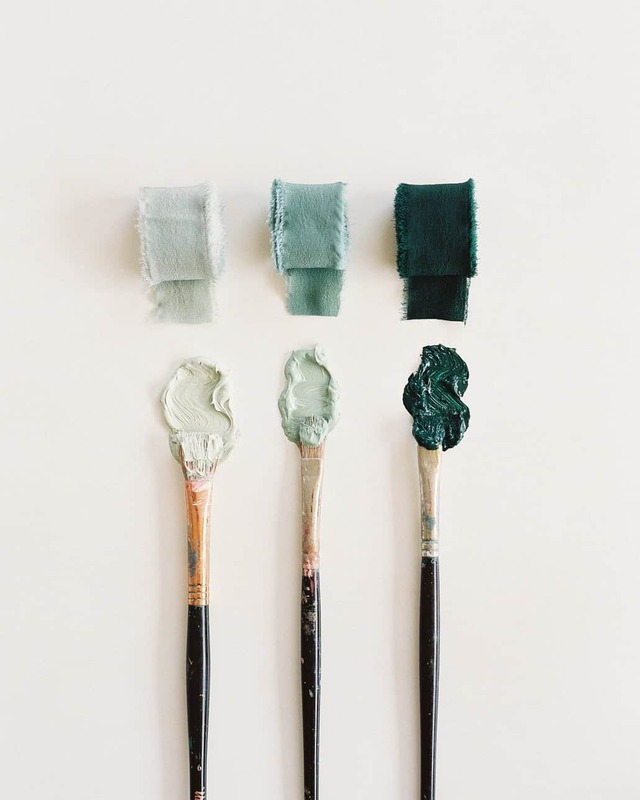 However, there are some colours gaining more popularity that just might become a new reference for your neutral; I am talking about gorgeous eucalyptus and deep olive tones. 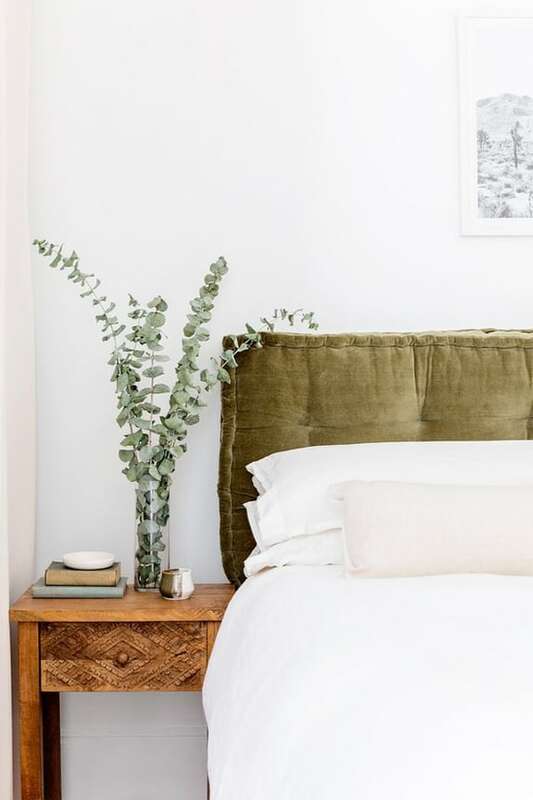 The olive and eucalyptus palette can bring in a delicate and soft overall feel into your bedroom, one that expresses the nature of relaxation. 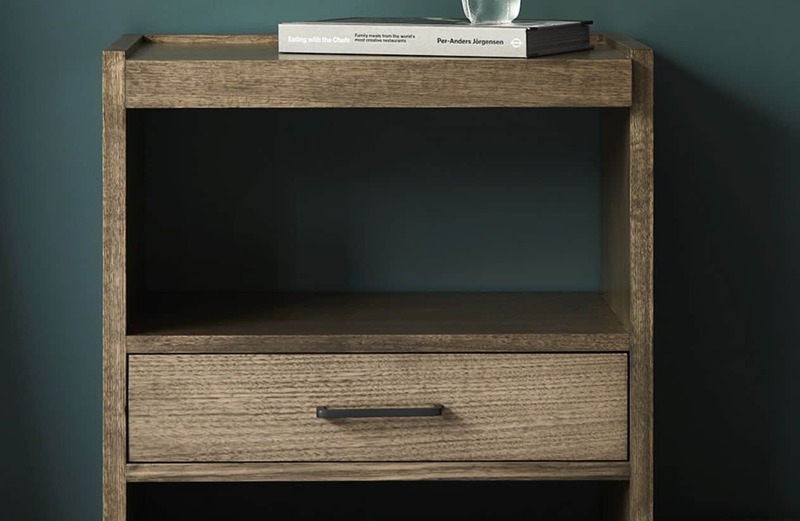 This is your new alternative for neutrals because of its versatility and it works beautifully with a wide range of decorating styles. Imagine a gorgeous custom velvet bedhead (see our bespoke vintage velvet collection) along with an earthy side table to bring in this luxurious and organic feel. 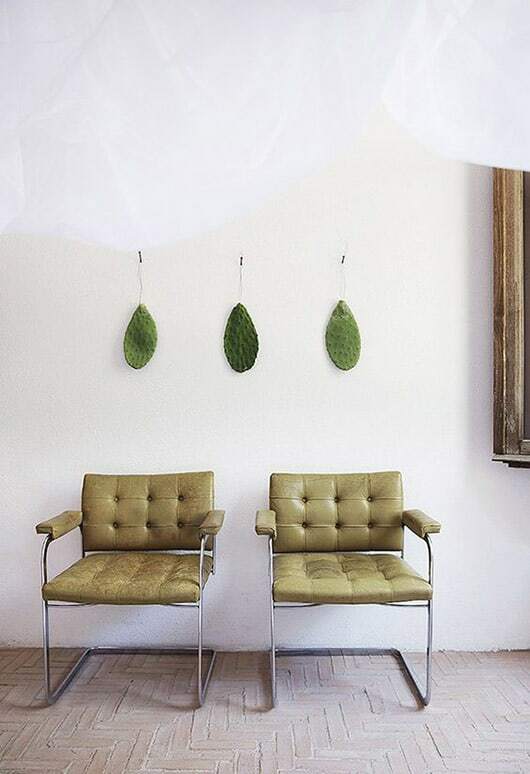 These gorgeous green hues are a great option to create a scenario of peace within your bedroom styling. 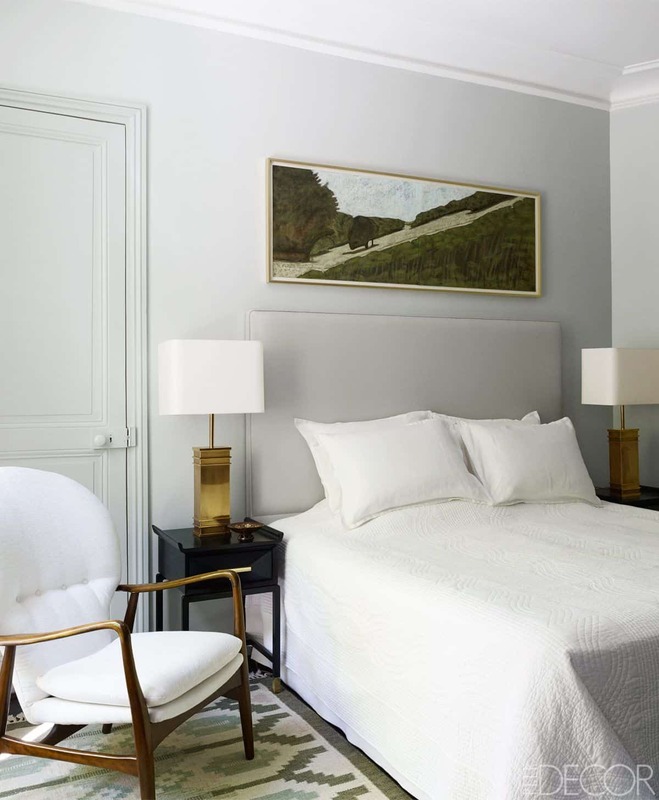 Add some muted green elements into a custom bedhead, bed linens, our Tate footstool or Ellison cushions to make a dramatic yet soothing statement. 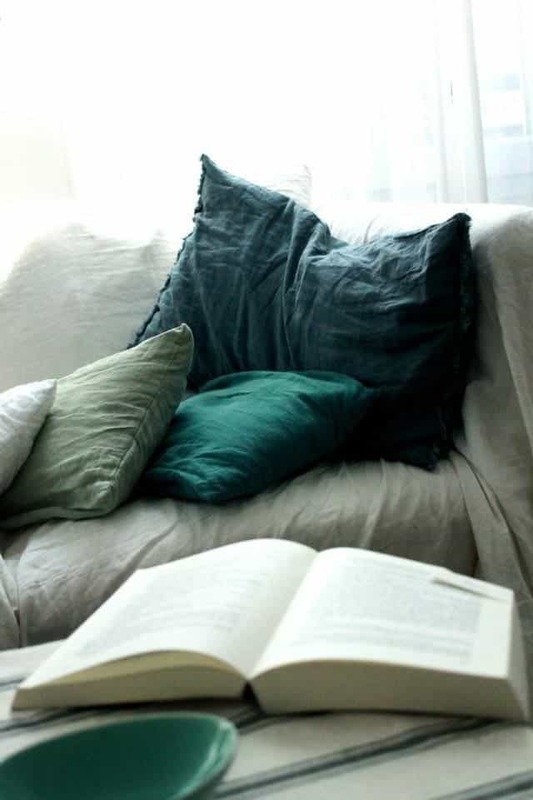 You can even mix it up by adding a pop of colour (think beautiful shades of blush or even deep rust and oranges) surrounding your gorgeous green upholstered Heatherly bedhead. Eucalyptus and olive greens effortlessly complement different materials, becoming the prominence needed to call attention within a space. For example, pair a beautiful green bedhead with a side table in an earthy tone, and you will achieve a lovely and fresh organic vibe. You can also add a footstool in a beautiful coordinating pattern to create a bespoke and tailored look. 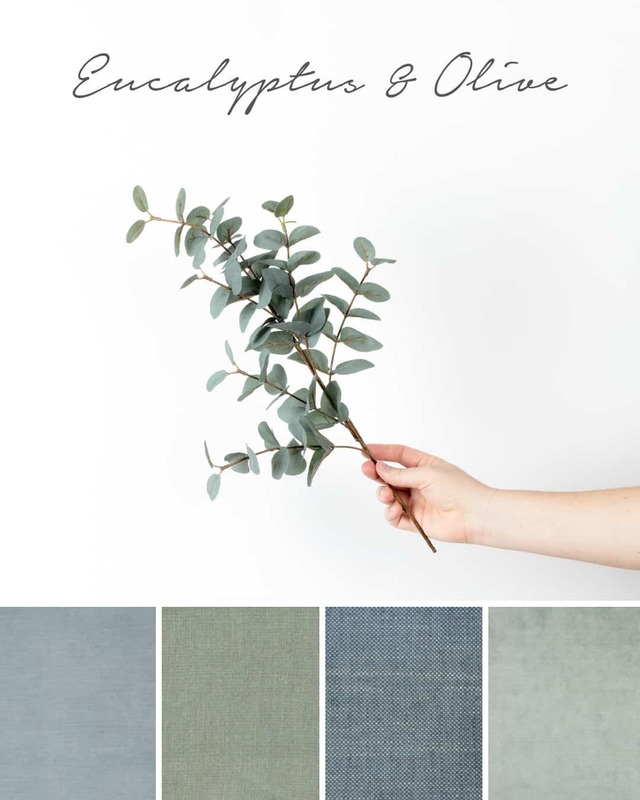 One of the things I love the most is the fact that eucalyptus and olive tones work beautifully in every season. Many people associate it at first sight with the autumn, but the truth is that it can be a great complement during the entire year. 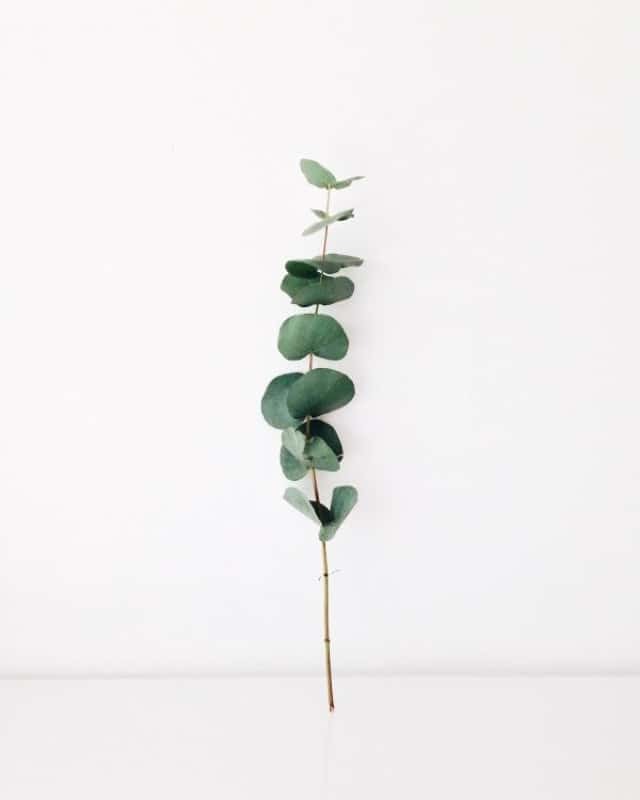 Combine it with elements of nature, like tree branches for a scenario inspired in autumn, but as Spring arrives, greens will have a stunning contrast with flowers in all colours adding warmth into your bedroom decor. Ellison Glacier velvet; Pinnacle Opal linen; Husk Amalfi linen; Ellison Seamist velvet. 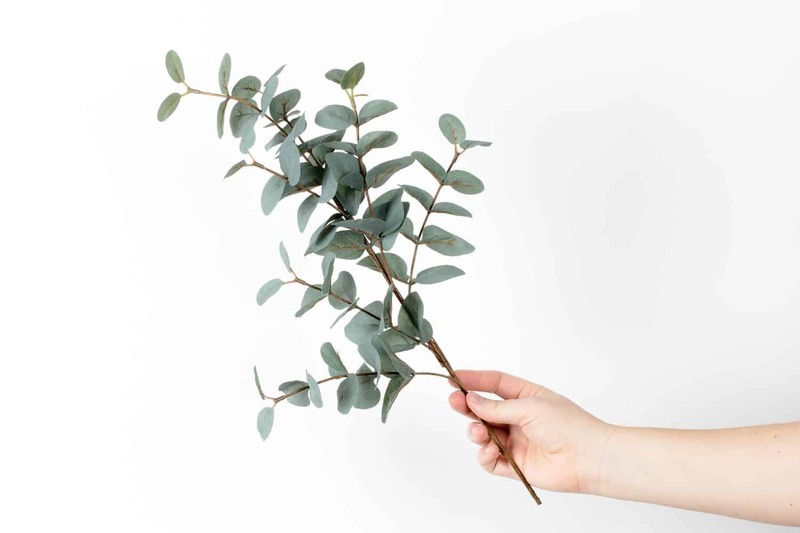 I truly love the use of eucalyptus and olive tones; it’s a practical option to include in our bedroom decor to give that fresh and elegant touch. Sometimes trying something as simple as a new bedhead colour, art or side table can make all the difference in the world. 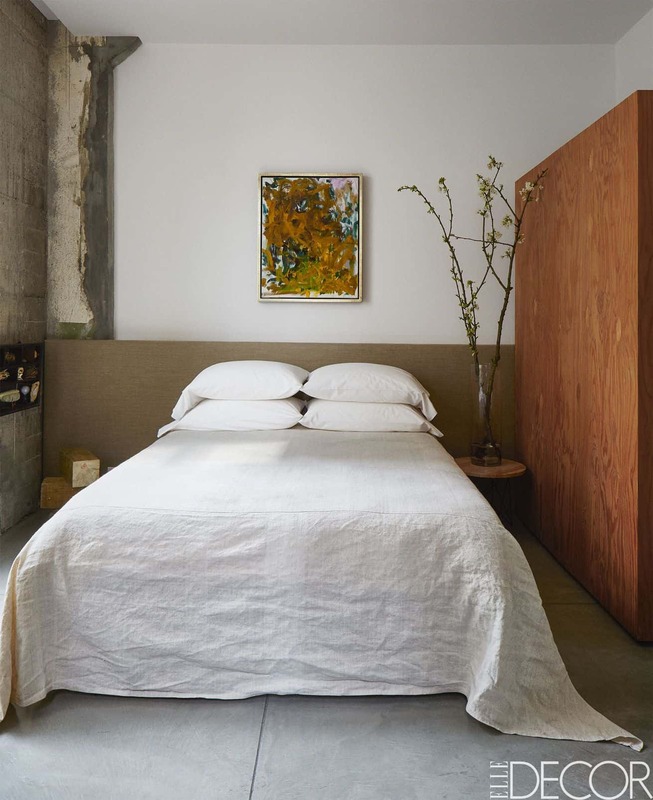 If you need assistance with your selection, book your free design consultation at one of our showrooms in Sydney or Melbourne and let one of our experts create a personalised plan and custom bed or bedhead for you. Posted in Bedroom Hints & How-To's, Bedroom Styling, Fabric & Colour Inspo.